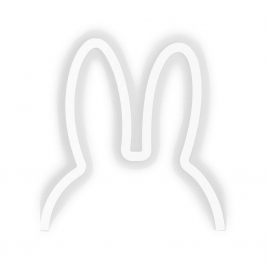 The Belgian brand Atelier Pierre offers products with clean lines but in which a note of humor always shines through; like the lightings of the brand that we propose on our LaCorbeille.fr, whether it is the Miffy lamp or the Chapo wall lamp! 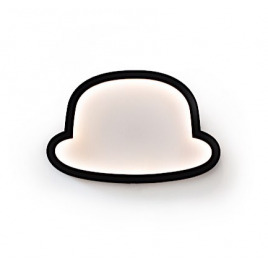 Surreal effect for this lamp Chapo by the Belgian brand Atelier Pierre; in the right line with Magritte: this is not a hat! Magical luminous presence with this lamp Led Miffy suggesting with subtlety and elegance the loved by toddlers character Miffy just with its small ears ! 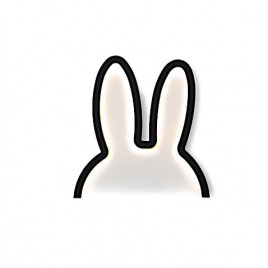 As a wall-lamp or bedside lamp, these ears of Miffy declined in a 100% LED graphic light will seduce young and old!